All About Topaz - The Birthstone of November. Topaz is a stone with gorgeous clarity, it is a strong stone and comes in a range of colours, which makes it ideal for jewellery making. Because of its rarity, topaz is an expensive gem. The rarest and most valuable colour being red; light blue is more common and of less value but no less stunning. Topaz is the birthstone of November and in this blog post we explore its interesting history and properties. Colour: Deep golden yellow, pink, blue, green or colourless. 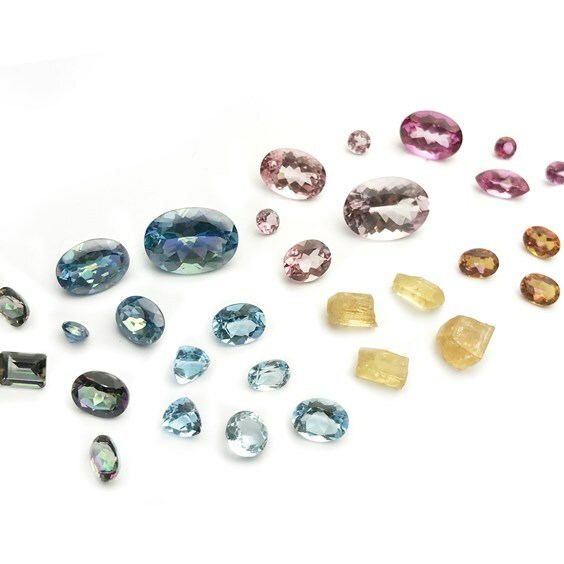 Yellow, pink and red are the most valuable with natural pink stones being very rare. 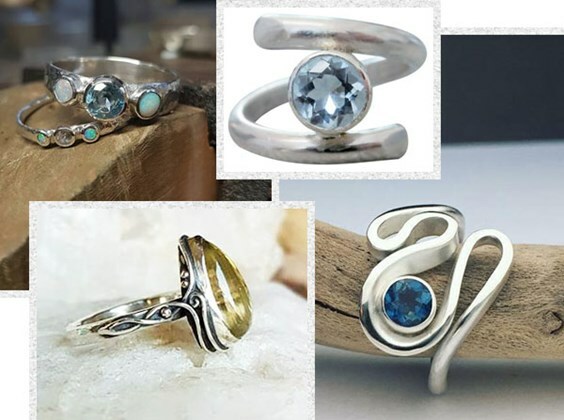 Many of the colourless stones are heat treated to a create range of blues. Appearance: In its raw form the topaz occurs as well formed prismatic crystal which can be of great size. Topaz can also form in large granular and columnar habits. It is a transparent to translucent stone with a vitreous lustre. Topaz is more commonly cut as a faceted stone when used for jewellery making use. Rarity: Untreated stones are rare, with pink and yellow stones being the hardest to come across. Mohs' Hardness: 8 - a strong stone, adding to its appeal and more expensive price tag. Sourced: United States, Mexico, Brazil, Pakistan and Africa. Topaz forms most commonly in pegmatites (a coarsely crystalline granite or other igneous rock). Topaz can also form in veins and cavities in granitic rock and volcanic lavas. It occurs with a variety of other minerals such as quartz. There are a number of ideas as to where the name topaz derives from. One being from the Sanskrit word tapas, meaning fire, another being that it is derived from the greek word Τοpáziοs’ or ‘Τοpáziοn which means yellow stone. The most famous topaz is actually a colourless topaz. In the 17th century, a large white , or colourless stone was used in a Portuguese crown. At the time it was thought to be the largest diamond ever found at 1640 carats, but is now believed to be a colourless topaz. Topaz is thought to be a mellow and empathetic stone that directs energy to where it is needed most - A great stone for balancing emotions. 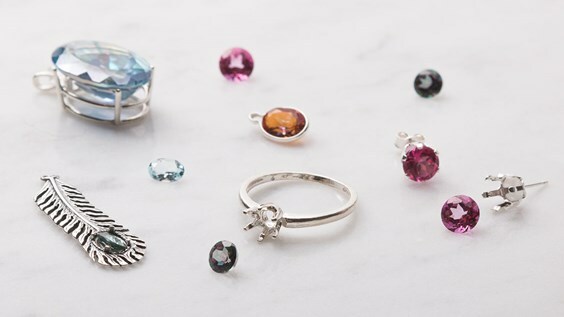 The November birthstone is also believed to promote truth and forgiveness by cutting through doubt and uncertainty. In her book The Crystal Bible, Judy Hall states that topaz's vibrant energy brings joy, generosity, abundance and good health. It has traditionally been known as a stone of love and good fortune. bringing successful attainment of goals. Negativity does not survive around joyful topaz. Topaz is said to stimulate the metabolism and restores the sense of taste and manifest health. During the Middle Ages topaz was thought to heal both physical and mental disorders and prevent death. Throughout history the stone has been linked to many powers, for example the Greeks believed it increased strength, the Romans believed it had power to improve eyesight and the Egyptians wore it to protect them from injury. 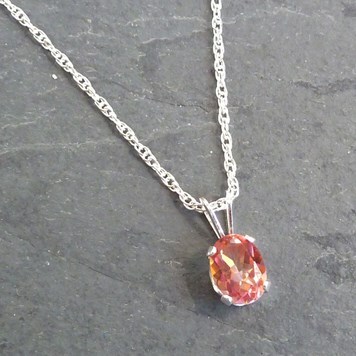 As Topaz has a mohs's scale hardness of 8, it is great gemstone to use within jewellery design. It's rareness, sparkle and beautiful colour options almost always result in a stunning, eye catching piece that people find hard to resist. Topaz is commonly found cut as a faceted stone in the smaller to medium sizes and in a range of shapes. For the beautiful necklace we have used a sterling silver snaptite pendant setting to set a twilight mystic topaz stone. 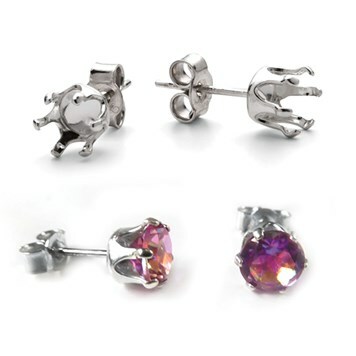 For the eye-catch earstuds we have used sterling silver snaptite earstud settings for faceted stones. 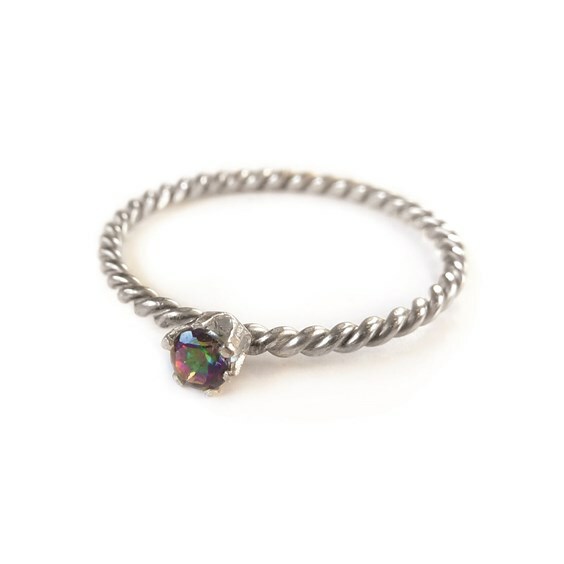 We love nothing more than supporting small handmade jewellery businesses! Featuring Made By Oonagh, Sheila Kerr Jewellery, Ravenstonz and Into Jewellery. Follow us on Facebook, Instagram and Twitter and don't forget to tag us in your handmade designs alongside the hashtag #Kernowcraft. We're always sharing our favourite designs! Perfect to complete your festival outfit or a beautiful piece to gift to a crystal lover! 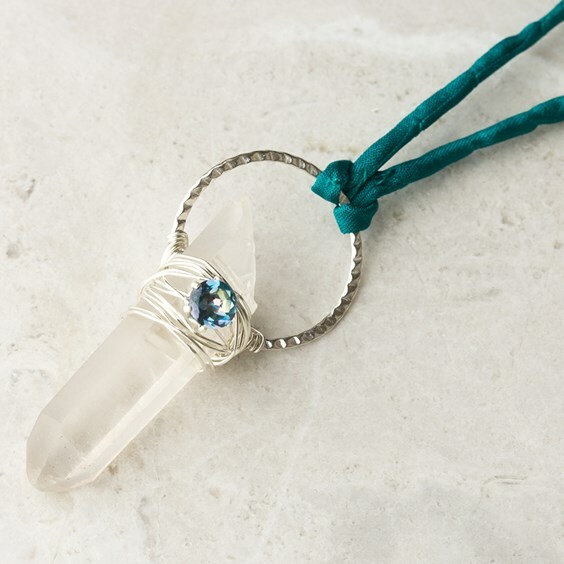 This project uses our crystal quartz drilled points alongside our iridescent aqua topaz faceted stones and hand dyed silk cord. Judy Hall : The Crystal Bible.